Kuntech is the first high-end enterprise in China that focuses on the development and autonomy of flexible semiconductors and advanced display technologies. It develops and actively accumulates intellectual property with the highest intensity focus technology, and achieves technology autonomy and freedom to operate. Facing the huge challenges of future display and semiconductor development, Kuntech Semiconductor continues to innovate and advance in the field of flexible semiconductor display through a series of revolutionary technologies. Based on the process route of independent innovation in the past, Kuntech backbone technology team broke through the barriers of AMOLED technology and made great contributions to the world's first batch of enterprises that successfully developed and commercialized AMOLED displays. The team has once again upgraded its flexible AMOLED and ultra-high resolution technology based on past mass production experience and proprietary technologies. Kuntech overcome challenge on the full flexible AMOLED, with its innovative flexible polyimide substrate 、advanced film forming process、integrated functional film and multi neutral zone structure to improve panel bend radius and realize S Double bend design; at the same time, develop novel OLED circuit design, advanced component process or structure, such as LTPS, LTPO, etc. To maximize the rendition of true color, Kuntech has developed a unique algorithm system, including AMOLED color engine, de-burnin, de-mura and data compression, which is an AI-based way of optimizing the display of AMOLED and guaranteeing high quality of color reproduction. Kuntech will further develop smart factories and build an intelligent manufacturing system that integrates CIM, cloud technology and AI to maximize its productivity. At the press conference, China National Development and Reform Commission, Shaanxi Provincial Development and Reform Commission, Provincial Finance Department, Xixian New District and other government units and leaders extended their congratulations on Shaanxi Kuntech Flexible Semiconductor Service Manufacturing Base Project and expressed their gratitude to Kuntech for its contribution to the future development of flexible semiconductor and display industry in China. The government is confident to work with enterprises from the industry to build a flexible display industrial chain, establish industry benchmarks and create a better future. 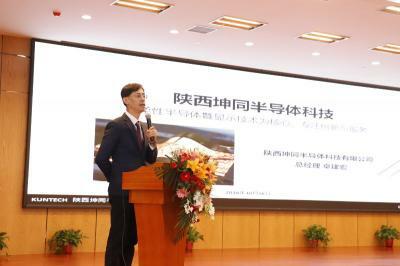 Austin Jwo, President of Shaanxi Kuntech Semiconductor Technology, delivered a speech on behalf of the company's senior management team, and introduced the future development plan of Kuntech to the Chinese government leaders and industry insiders. There will be challenges and opportunities for flexible semiconductor and display industry in the future, and Mr. Jwo hoped that the company could take “drive the terminal to innovate and change the human horizon” as their job and work together with all partners to build a new industrial ecology. It is reported that Shaanxi Kuntech flexible semiconductor service manufacturing base is a major science and technology industry project of Shaanxi Province, China. The total investment of the project is 6 billion USD. 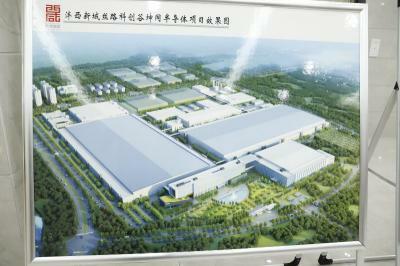 The project includes a world-class flexible semiconductor and display technology R&D certification center, a strong and complete flexible semiconductor and display industry chain, and the sixth-generation flexible AMOLED demonstration production line with its production capacity being 30K large substrates per month, featuring three major processes (array, AMOLED EL, flexible module). The size of the substrate is 1500mmx1850mm. 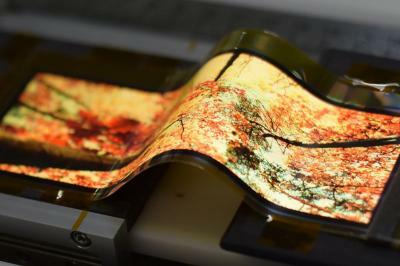 Most of the products are small and medium-sized flexible AMOLED displays. Shaanxi Kuntech Flexible Semiconductor Service Manufacturing Base can also provide customers with highly comprehensive technology solutions for their products, promoting their innovation and development and enabling them to launch their product to the market as soon as possible. The coverage of the plants for the project is about 329.47 acres, and the clean room area of the project is about 550,000 m2, which is the largest clean room facility in Shaanxi Province. According to the plan, the project is expected to be put into operation in the fourth quarter of 2020, and mass production will officially start in the third quarter of 2021.